Policies covers all phone orders internet,email and walk-in store orders. 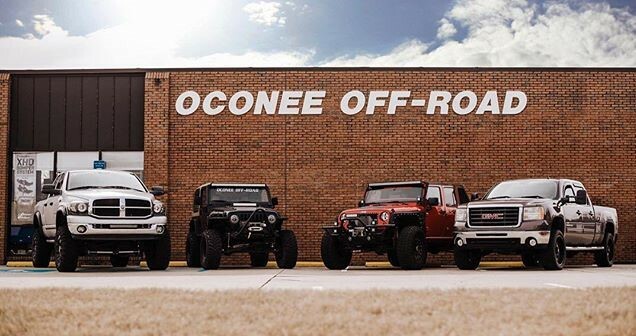 Oconee Off-Road offers the following Policies: THE PURCHASER IS RESPONSIBLE FOR DETERMINING THE SUITABILITY OF ANY PRODUCTS PURCHASED. Purchaser understands and recognizes that four wheel drive parts and off road equipment sold by Distributors are subject to varied conditions and applications due to the manner in which they are installed and used. All parts are covered only by the Manufacturer's Warranties and/or Guarantees. Oconee off-road can assume no responsibility for use or application by the user and hereby disclaims all warranties, either expressed or implied, including any implied warranties of merchantability or fitness for a particular purpose, and neither authorizes any other person to assume for it any consequential damages to property, damages for loss of use, loss of time, loss of profits, loss of income, or any incidental damage. Purchaser further recognizes and agrees that suitability of any part sold for a particular application is the purchaser's decision and that the purchaser is not relying on the skill or judgment of Distributor regarding suitability of any product. Purchaser is solely responsible for determining suitability for all items ordered, even if they request the assistance of our sales staff. Orders maybe be shipped in multiple packages that may arrive on different dates and different carriers. We reserve the right to cancel any order If we feel the credit card has been used in a fraudulent manner! Shipping Address and billing address must match! Shipping time can take up to 2 weeks on some larger items and larger orders. International shipping is not available please use a US based shipping forwarder! order online and we will contact with shipping quote. We do not always have tracking numbers available to us at the time of shipment. We are happy to try and get tracking numbers upon request if they are needed. All over sized items,bumpers,tires,wheels,body kits and long arm kits will have a shipping surcharge. Alaska And Hawaii Free Ground shipping is not available! We do not accept checks or money orders ! 25% restock fee on all returned orders canceled orders and order mistakes by customers shipping will not be credited back. will incur extra shipping charge to get the item to the correct address! We do not issue call tags for return shipping. No returns on special order parts over the phone or in our retail store! and must be in new condition, all hardware and original packaging. Store Credits will be issued after the order has returned and has been inspected. If you order the wrong parts you must place a new order while the incorrect parts are being returned.